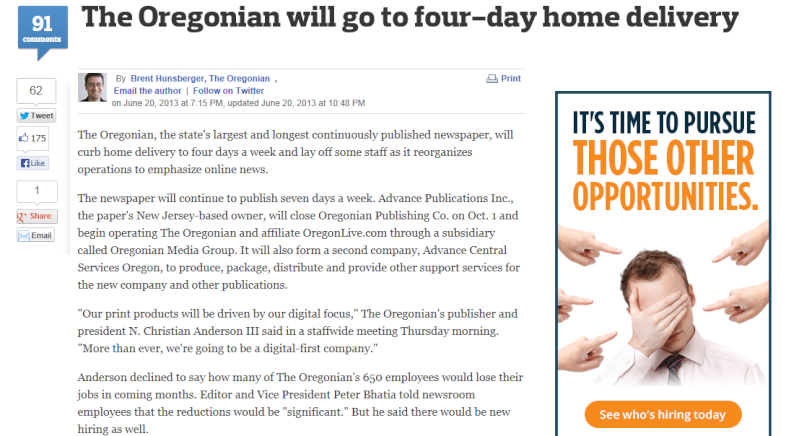 The Oregonian is cutting home deliveries to 4 times a week. Does anyone else wonder if the sidebar pop-up ad to the announcement was deliberate and seen by everyone? Well, they are firing a number of people according to their boss. BTW, I tried the online version of the paper today to see if I would continue my subscription past October when they cut to "3 days a week, plus a free bonus day on Saturday" (marketing I guess), and it wasn't bad on my laptop, but it was terrible on my tablet....they'd better come up with an app. Really not as satisfying to read the paper online, but all the content is there....I checked. DoubleDipper wrote: ...they'd better come up with an app. Here ya go. Now your parakeet can dump on your tablet. If you figure out how to get a Thorns article with it, let me know. Hahahahahaha, I laughed so hard at that I spilled my tea on the "O" and the cat jumped off my lap! 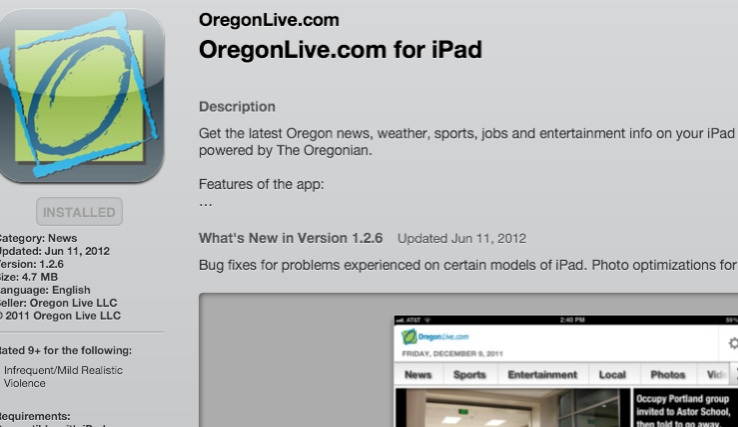 Thanks, Geez, I've got the Android App for OregonLive, but what I'd like to see is an app for the actual Oregonian newspaper printed digitally. There may be one out there....I'm just too lazy to search. The trouble with all those digital methods is they don't load fast enough, and he whole broadband issue is at fault, not the Apps. I can do a triage on what parts of he paper hard copy I want to read in the time the app takes to load. With the new thinner hard copy, it will be even faster. DoubleDipper wrote: Well, they are firing a number of people according to their boss. In the sports department, Paul Buker and John Hunt said their goodbyes via Twitter. It's kind of shocking when guys who've been around that long will be gone. Sounds from the twitterverse that Paul Buker, John Hunt and Jim Beseda are leaving the O.